A new West Australian Football League Women’s (WAFLW) competition will kick off in 2019, with five teams to compete in the inaugural Optus WAFLW Premiership Season. East Fremantle, Claremont, Peel Thunder, Subiaco and Swan Districts will each field a WAFLW team in 2019, with South Fremantle receiving a provisional license for 2020. West Australian Football Commission CEO Gavin Taylor said the WAFLW competition was an exciting step forward for football in WA that would complete the talent development pathway from Auskick to AFLW. “Club Football participation by females has tripled in WA in the last five years to more than 94,000 and it is important that every one of these players has the opportunity to reach their full potential and compete at the highest possible level,” he said. “Whether it is playing footy for fun among our 14,000 female Auskick players or aiming to emulate AFLW idols, we want to make sure there is a clear development pathway for every player to follow, which will be achieved with the launch of the WAFL Women’s competition. A new West Australian Football League Women’s (WAFLW) competition will kick off in 2019, with five teams to compete in the inaugural Optus WAFLW Premiership Season. East Fremantle, Claremont, Peel Thunder, Subiaco and Swan Districts will each field a WAFLW team in 2019, with South Fremantle receiving a provisional license for 2020. West Australian Football Commission CEO Gavin Taylor said the WAFLW competition was an exciting step forward for football in WA that would complete the talent development pathway from Auskick to AFLW. 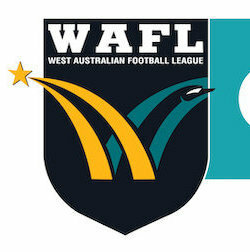 West Australian Football League partner, Optus, has boosted its support for WA’s premier State League competition, adding League naming rights, volunteers, and the new WAFL Women’s competition to their partnership for 2019. WAFC CEO Gavin Taylor thanked Optus for their continued commitment to WA Football following the success of the inaugural year of the partnership in 2018. “We are thrilled to have such a high-quality partner extending their support of the WAFL competition to naming rights, WAFL Women, and one of the game’s most valuable assets – our volunteers,” he said. The new partnership will see this year’s men’s and women’s State League competitions referred to as the 2019 Optus WAFL Premiership Season and 2019 Optus WAFLW Premiership Season. Optus Head of Marketing Melissa Hopkins said Optus was looking forward to broadening its partnership with the WAFL in 2019 after seeing the competition go from strength to strength with the addition of the West Coast Eagles WAFL team and a Women’s competition. “We are ecstatic our partnership is extending to include the new WAFL Women’s competition, which is an exciting step for WA Football and Optus,” Ms Hopkins said. As part of the Optus partnership, a WAFL Women’s game of the round will be live-streamed each week on the WAFL website and the 2019 WAFL Women’s Grand Final will be broadcast live on the Seven Network. The WAFC will also continue hosting the WAFL Grand Final and Sandover Medal count at Optus Stadium. Mr Taylor also thanked and acknowledged outgoing WAFL naming rights partners McDonald’s for their four-year commitment to the competition. “The support from McDonald’s has been integral to having the competition televised on the Seven Network and allowed us to continue driving the growth and success of the WAFL,” Mr Taylor said.